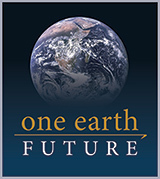 Mahad Awale is the Country Director for One Earth Future. Mahad received his bachelor degree in accounting from Franklin University and his Master of business administration from Ohio Dominican University. Prior to joining One Earth Future, he worked as a Fund Associate for Citi Group where he managed financial accounts of more than 300 clients with funds ranging between $90 - $500 million dollars. In 2000, Mahad began coaching Somali youth soccer teams in Central Ohio and organized annual soccer tournaments for Somali youth across North America. He is also a weekly sports commentator for VOA Somalia. In April 2011, Mayor Coleman of Columbus, Ohio awarded Mahad a Community Service Award, and in 2017 he received a lifetime achievement award from the Somali community in Columbus. He was honored for his commitment to public service and his accomplishments working with the soccer community as both a coach and a mentor. He was recognized as an influential change maker who gives back to his community and country. He is fluent in Somali, English and Italian.